As a result of his involvement in an illegal gambling ring, Justin Boosted JSmith (pictured), a longtime member of the poker community, will receive probation, home confinement, and community service, according to FlushDraw. FlushDraw added, “Smith assisted with the online sports betting operation by creating numerous online accounts for the ring’s leaders… Smith moved six-figure sums for both sports betting and poker through several of these accounts.” The misgivings reportedly took place at HMS Sports and Pinnacle Sports. 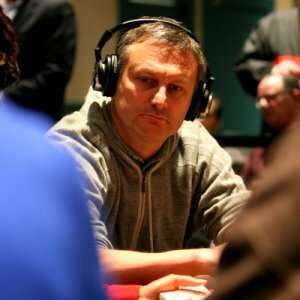 The charges in question came to light in April of last yearin a ring that also featured poker pros Vadim Trincher (pictured), Bill Edler, Peter Nordberg Feldman, and Abe Mosseri. 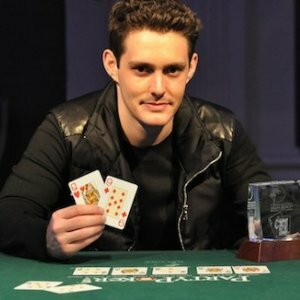 Thirty-four people were indicted in total and FlushDraw revealed that Smith pleaded guilty to “a single count of accepting financial instruments for unlawful internet gambling.” PokerNews reported that Smith faced up to five years in prison, while Feldman and Edler have not yet entered any sort of plea, according to FlushDraw. Smith has $2.1 million in career live tournament earnings, according to the Hendon Mob. He finished third in the 2009 Bellagio Cup for $464,000 and followed that up one year later with a second place showing in the WPT Championship for $594,000. He is #17 on Florida’s all-time money list and signed up for PocketFives in 2005 just a few months after our site launched. Allegedly, more than $100 million was laundered as part of the illegal gambling ring; the Wall Street Journal originally reported that Trincher was responsible for laundering almost half of that total and posted a $10 million bond. Read more about previous guilty pleas in the case.